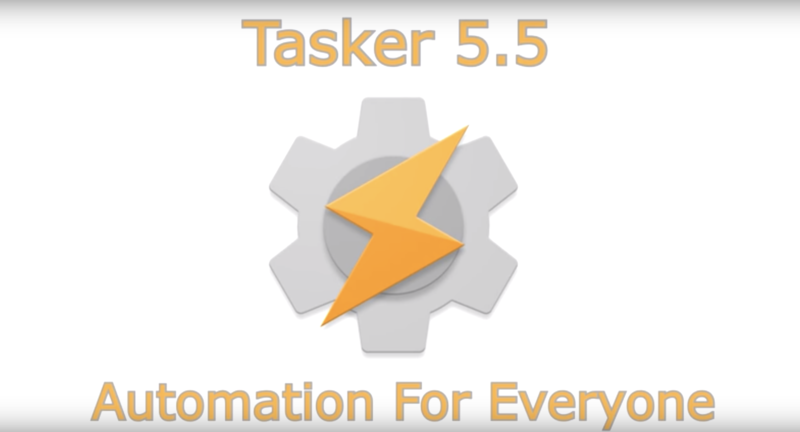 Automation For Everyone: several new features like easy importing and launch tasks when importing make importing existing projects a breeze, allowing absolutely everyone to use Tasker. Demo. TaskerNet: a place to share and import pre-made Tasker stuff. Demo. Custom Setting Monitoring: react to any setting changing on your phone in the new Custom Setting Event and State. Demo. Google Drive Backup: automatic daily Google Drive backup of your Tasker data. Demo of restoring data from Google Drive. Display Size: change the size of your display, making apps appear larger or smaller. Demo. Status Bar Icons: hide or show icons on your status bar. Demo. Force Rotation: make your display rotate and stay rotated in a certain direction. Demo. There's even more than that, too, so be sure to check out the full changelog. You can update to version 5.5 on the Play Store or download it from APK Mirror (Play Store version / Direct Purchase version).